I'm super excited today because I actually sat down and put together a goals list! 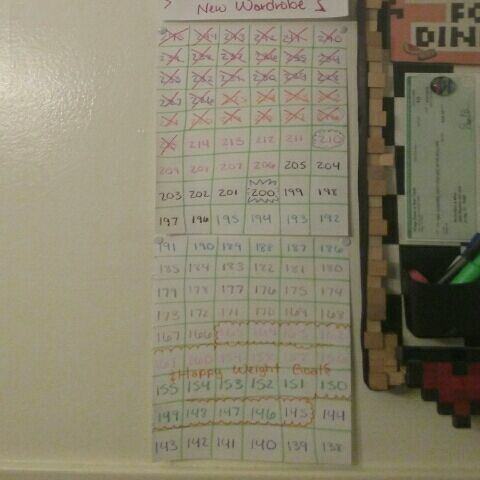 I also drew out a pounds cross off chart and motivation board. 210 - New car decor 200 - New hairstyle 190 - solo art museum visit 180 - see a concert 170 - goosebumps book series 160 - two new tattoos 150 - reconstructive surgery 140 - abdominal tattoo/ new wardrobe I'm ready to get back into daily exercise, moving forward with my healthy lifestyle! Thanks that is a fantastic ideal.